What happens when Baba Yaga’s only granddaughter takes off for adventure in the vein of Conan? Trickery, witchcraft, and not a little blood. 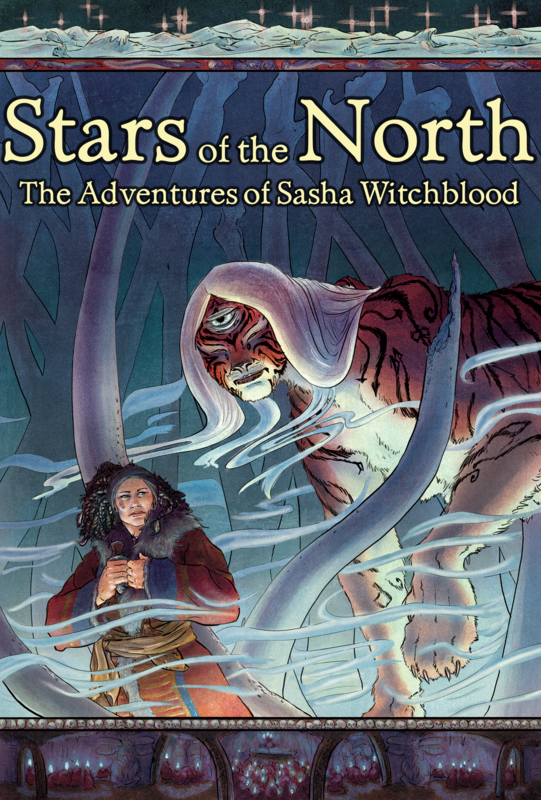 Which is to say that Sasha Witchblood, my favorite creation, is back today in five more pulp fantasy fairy tales, collected as Stars of the North. You can get the new book in print here and in Kindle format here, and if you missed the first one, The Sugar House, both formats are here. These new adventures find Sasha a little older and a hair more compassionate… but only a hair. She’s still seeking her fortunes and doing her best to avoid getting involved… but when you’re the scion of the most feared and sought-after witch in the world, staying uninvolved is next to impossible. I had a great deal of fun writing these. I enjoy being able to revisit the fairy tales I love and mix them with the pulp fantasy I adore. 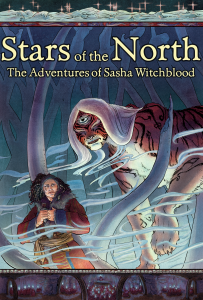 And Sasha’s a fun character to write… here’s to many more adventures together! Thanks again to cover artist Rachel Kahn and editor Audrey Whitman for helping to bring this book to life.